Hello Friends, I am back with a delicious recipe of Carrot Beetroot Sweet Balls – a twisted version of Carrot Beetroot Halwa Recipe. The method of making Carrot Beetroot Sweet Balls is mostly similar as making carrot halwa (pudding) with some small changes. You may know that Carrot Halwa or Carrot Beetroot Halwa is an authentic Indian sweet dish. And along with the sweetness of my dish I want to celebrate my 1 month journey of my food blog veggiefoodrecipes.com. I am very happy that you appreciated my food blog and I got a great response on the recipes I shared with you. I am glad to know that you make my Stuffed Dal Dhokali as most popular recipe of this month (Feb – 2016). And my version of Aloe Vera Sweet Recipe is also getting good response from you. I am very thankful for your love and sweet responses. Your love will keep inspiring me to create more ultimate recipes in future. 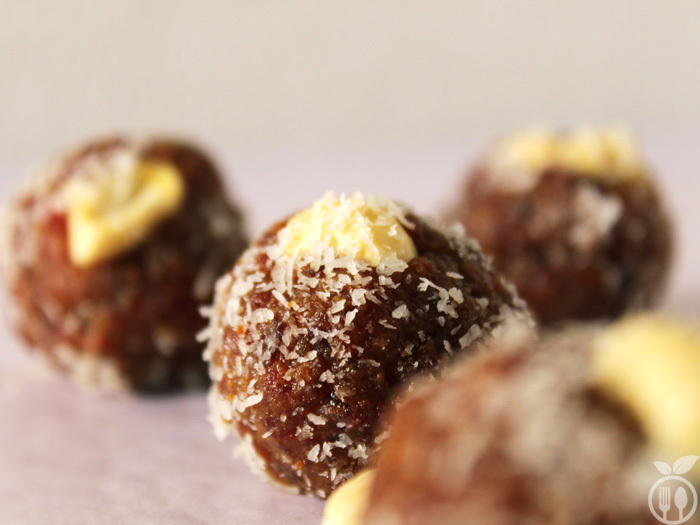 This Carrot Beetroot Sweet balls is created from that inspiration only. In Indian kitchen, Carrot Beetroot Halwa is very famous and traditional sweet dish. It is also a festival dish which often helps to celebrate the sweetness with relatives and friends. Halwa or Pudding is generally prepared with khoya or mava – thickened milk by heating it in an open iron container. But in outside India, it may not available. So for outside India, you can use condensed milk to get same texture and taste of this recipe. Adding condensed milk will not alter the authentic taste of it. Here we need to make balls out of mixture, so I need to maintain texture of recipe to create perfect balls. Another change I have made is beetroot. I am adding 1/3 portion beetroot in this recipe, as we know about benefits of beetroot in health perspective. Beetroot is good source of natural minerals and natural sugar; it is also give good color to balls. 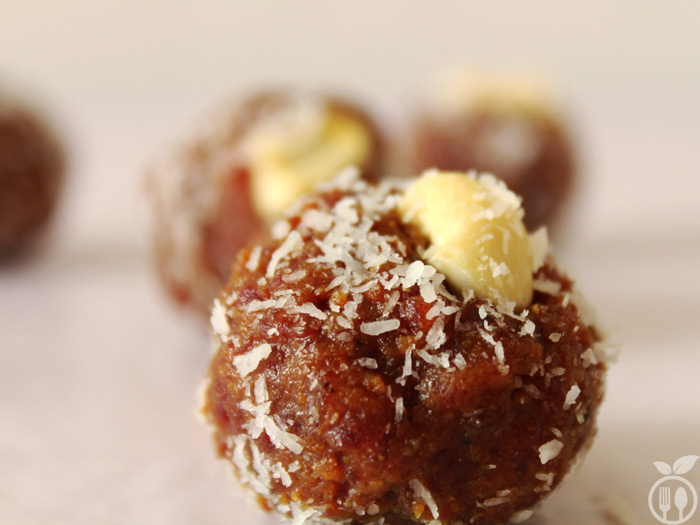 You can also make only beetroot balls, but taste slightly change from Carrot beetroot balls recipe. Those who have low hemoglobin problems, beetroot is the best option to balance their hemoglobin level into body. 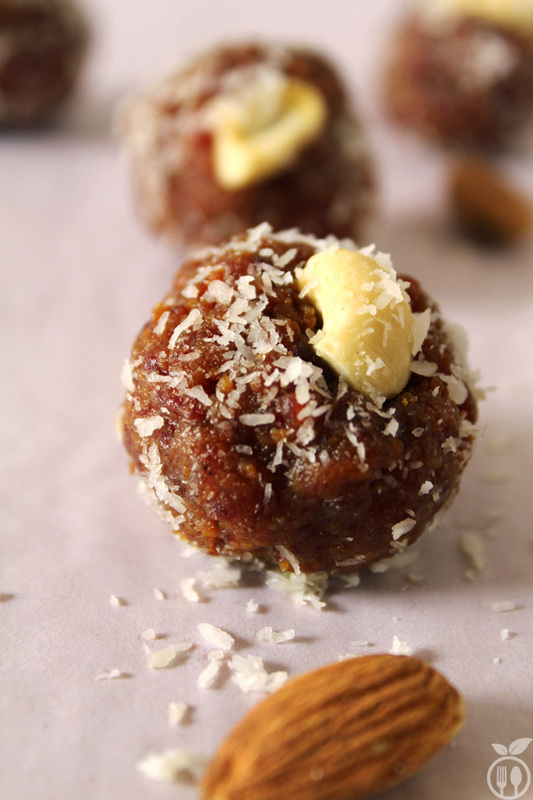 Carrot Beetroot Sweet Balls - a twisted version of Carrot Beetroot Halwa Recipe. The method of making Carrot Beetroot Sweet Balls is mostly similar as making carrot halwa (pudding) with some small changes. You may know that Carrot Halwa or Carrot Beetroot Halwa is an authentic Indian sweet dish. Heat 1 tbsp ghee (unsalted Butter) into heavy bottom pan, add grated carrot and beetroot and sauté them for 2 minutes on medium heat. Now add milk and let them cook for at least 15 minutes until milk gets condensed and moisture of carrot and beetroot evaporates. You need to continuously stir the mixture. The mixture become thickens. At this stage, add condensed milk and sugar (as per taste because condensed milk itself has sweetness). Again stir well for 5-10 minutes and let it simmer until it gets thicken. Now switch of the gas and add cardamom powder. Let the mixture cool. You can serve it as hot in this form as Halwa (pudding). After it cools down to room temperature, start to make balls from it and add cashew pieces into it. Prepare all bolls from mixture and put them into freezer for 5 minutes. Now spread desiccated coconut in plate, and do the coating of it into balls. It will give best look and yeah yummy taste to sweet balls. You can store it in air-tight container for 1 week in refrigerator. To make balls from pudding mixture, you need good texture so that you can make balls from it. So you can either use mava or condensed milk for this recipe. If you want to use mava (khoya) then 2- 3 tbsp of mava proportion is good enough. If you have used condensed milk then quantity should be ½ cup of it – to get enough consistency. 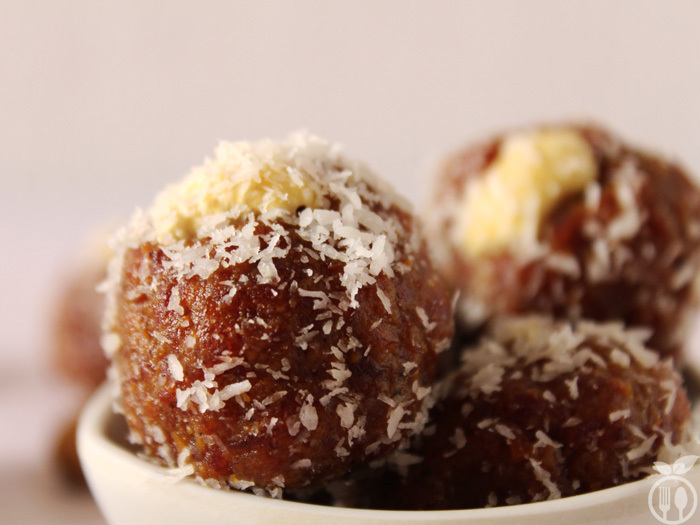 Once you prepare balls form carrot beetroot mixture, don’t forget to put them into freezer for 5-10 minutes. It will help to thicken mixture for coconut coating. You can store it in air tight container at room temperature. If you use mava, you need to consume it within 24 hours. You can store it in refrigerator for say 3-4 days. Not more than that. If you have prepared this recipe using condensed milk, you can store it for 1 week in refrigerator. Consider above points and prepare this recipe. It will give an extra ordinary touch to your cooking. And Yes…. Don’t forget to share your feedback after making this recipe….!!!!! Thanks Barbara for reading this recipe. And yes, you are right. You can always encourage your kids to eat some healthy ingredients by mixing them in such tempting recipes. Some thing new, innovative & more helpful. Thanks for sharing this recipe.